Empathy – the imaginative act of stepping into the shoes of another person and looking at the world from their perspective – is a more popular concept today than at any point in human history. But do we actually need more empathy in our lives? I am convinced that we do. In part this is because of a growing global empathy deficit. In the United States, for instance, empathy levels have dropped nearly 50% over the past 40 years, with the steepest drop occurring in the last decade. It’s also because our current efforts to achieve human happiness are failing us. The headlong pursuit of high-consumption material lifestyles has left us hungry for more meaning in our lives. Job dissatisfaction is at record levels of around 60%. One in four people say there are lonely, and the same proportion will suffer a mental health problem at some point in their lives. This could hardly be described as a happy state of affairs. We urgently need an antidote – and that antidote is empathy. But this leaves a question: how do we expand our empathic potential and bring the circuitry in our brains to life? My new book, Empathy: A Handbook for Revolution, aims to provide the answers, showing how empathy has the power to transform our relationships, from the personal to the political. So here are five ideas from the book for boosting your empathy quotient. If all of this is sounding a bit strenuous, you can always throw a little ‘armchair empathy’ into the mix. This is about reading books and watching films that catapult our imaginations into other people’s lives that are vastly different from our own. Think of a movie like City of God, which reveals the violent world of two boys growing up in the shantytowns of Rio. Or the novel To Kill a Mockingbird, with its classic line, ‘You never really understand a person until you consider things from his point of view—until you climb inside of his skin and walk around in it.’ It isn’t always easy to find the most inspiring and powerful empathy books and films, which is why – alongside my new book – I’ve just founded the world’s first online Empathy Library. You’ll find the very best novels, non-fiction, kids’ books, feature films and video shorts all about empathy. You can also join up to add your own favourite items, and browse Top Ten Charts to give you new ideas for reading groups. 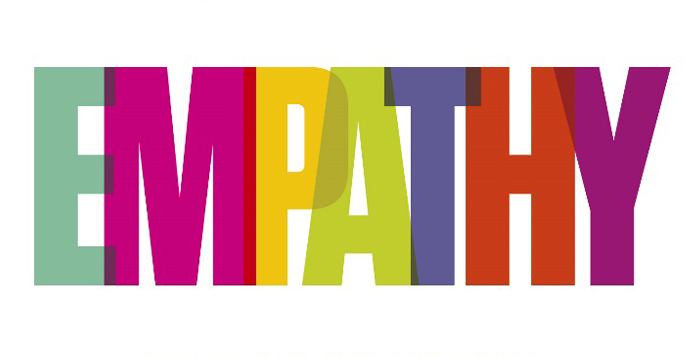 Who in your life do you need to develop more empathy with – and how might you go about doing it? → Roman Krznaric is a founding faculty member of The School of Life. His new book is Empathy: A Handbook for Revolution. Visit the Empathy Library here.